ABU DHABI: The probability of children falling sick is very high in the first weeks after schools reopen, doctors have warned. Risk of infections such as flu, conjunctivitis, throat and ear infections and gastroenteritis is high as families may have travelled to different parts of the world during summer holidays, say health professionals. “Classrooms become contagious because many children would have travelled to countries where certain kinds of viruses are rampant,” Dr Lina Karam Ali, general practitioner at Al Raha Medical Centre told XPRESS. Doctors have urged schools and parents to take precautions against viral infections and contagious diseases when children are back in school in the first week of September. “Schools should ensure that windows and doors are kept open to allow fresh air inside the classrooms. This would help reduce the spread of respiratory infections among classmates,” said Dr Ali. “It is very important to sanitise school toilets regularly. Children are very susceptible to rotavirus that causes severe diarrhoea,” she added. Dr Ali also suggested that children should be discouraged from sharing tiffin boxes to cut infections. Dr Samia Hassan Mohammad, general practitioner at the American European Medical Centre, says the academic year should start with some health awareness lessons. “Education plays a crucial part in prevention. Children should be taught and reminded to wash their hands thoroughly with soap, not to sneeze or cough in front of others,” said Dr Mohammad. Schools that are gearing up for the new academic year said they are taking steps to minimise infections. “We have installed hand sanitisers at the entrance of all our buildings and children are encouraged to use them,” said Jasmine Taylor, PR and marketing officer at Raha International School. She added that the school uses a software application called ‘School Communicator’ to alert parents to any occurrence of contagious diseases. “This helps parents to take precautions and look for symptoms in their children,” said Taylor. 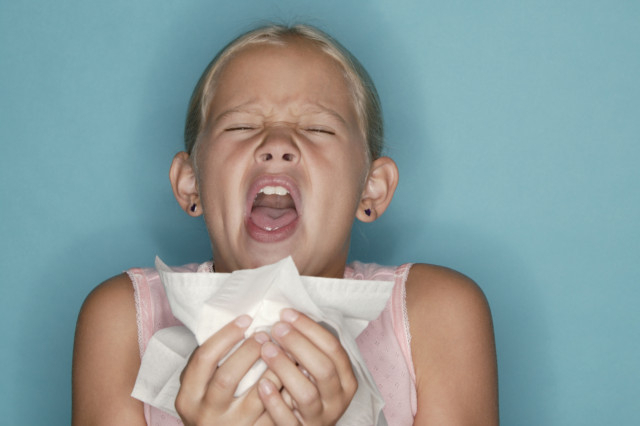 However, parents need not worry if their wards catch a cold or flu, said Dr Mushtak Al Saadi, family medicine specialist at Health Plus clinic. “Children catching an infection in school is normal. Parents need not get alarmed. These minor infections will help the children build immunity,” said Dr Saadi. What steps are you taking to ensure your child is free of infection?